This weekend Hanna Park beach was busy and active with visitors from around town and beyond. 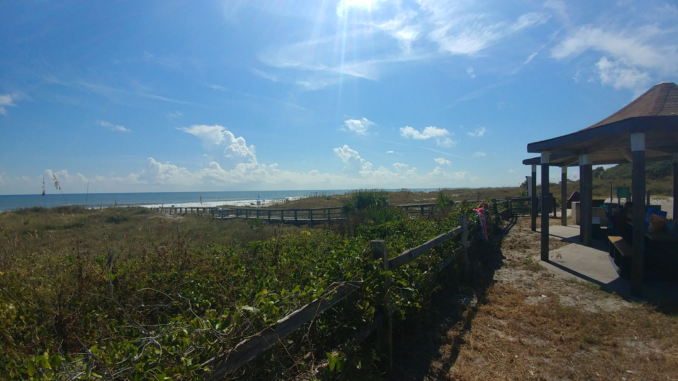 Buoyed by problems with red tide and other ecological disaster toward the south, Jacksonville’s beaches have once again become a popular destination for rest, relaxation, and aquatic sports. 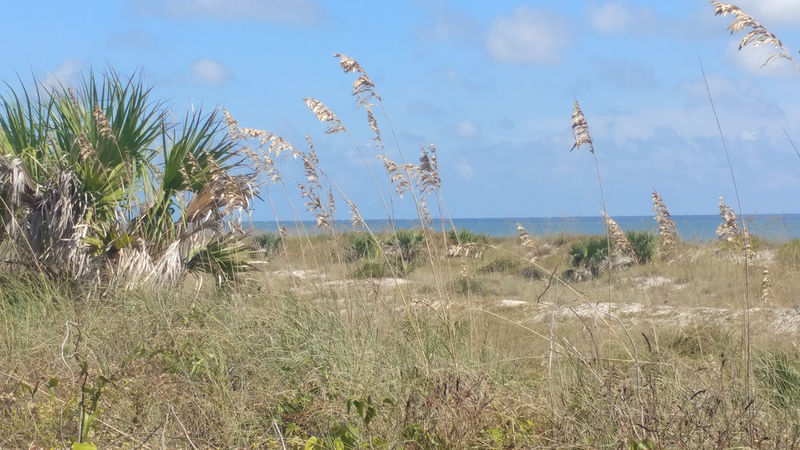 With unusually warm weather this fall, visitors are enjoying the beaches well in to the start of October this year. The Hanna Park campgrounds were packed with tents and several popular cabins were rented out through the month. Pavilions were similarly packed with birthday parties, church gatherings, and barbecues. Along the beachfront, children built sand castles while adults swam, flew kites, fished, or simply sat and enjoyed the peaceful views. General admission to Hanna Park is still just $5 per vehicle and covers up to the full day of parking and beach access. Pavilions, cabins, and campgrounds can be reserved online or made by calling (904) 249-4700 during their regular business hours: 8 am to 8 pm from April to October; or 8 am to 6 pm from November to March. Pets are allowed, but alcohol, glass containers, and fireworks are not. Grills and open fires on the beach are also not permitted, but camping areas and beach-adjacent pavilions do contain basic grills. Bring charcoal or some good cooking wood, and maybe a small hibachi if you don’t have a pavilion or campsite reserved – just be sure to keep it off the beach! November 9, 2018 at 1:00 PM: Hanna Park Camping! Regardless of your plans and regardless of the weather, the park remains open year round and always offers a unique look at the natural habitat of the Jacksonville beaches ecosystem. Bring your family, friends, and favorite furry pals to check it out!